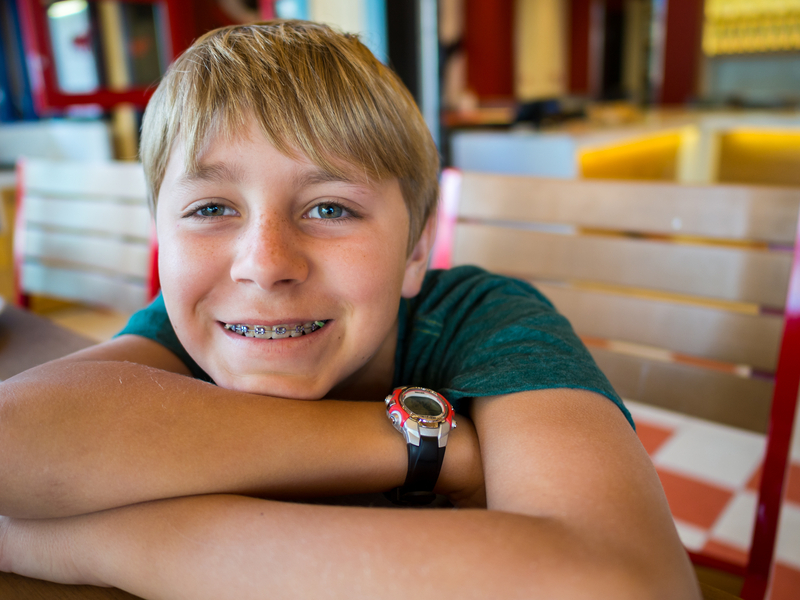 Oral appliances include braces, space maintainers, retainers, overbite correction appliances, expanders, and devices to help cease oral habits. 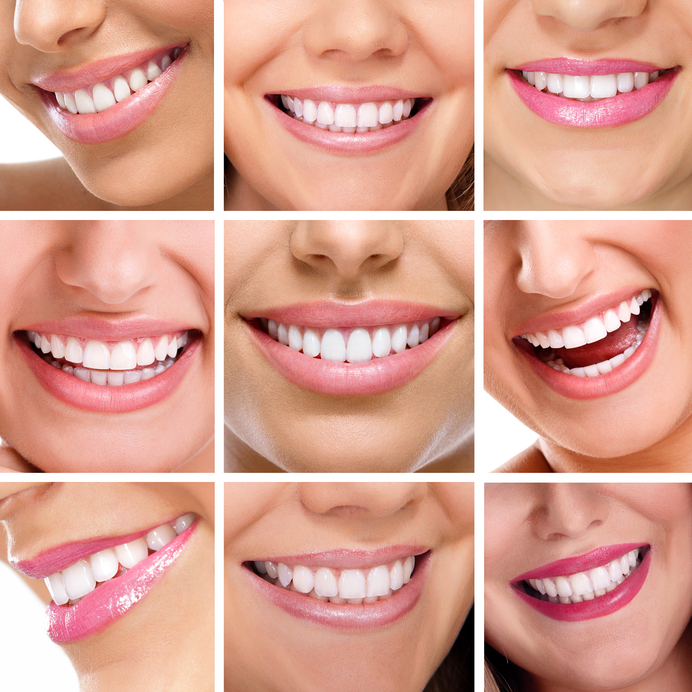 They are used to correct, treat, or prevent conditions related to the upper and lower jaw, teeth, and tissues. Some of these devices are cemented on the teeth, and some are removable. If an appliance is removable, it’s best to remove it while eating. The appliances are durable, but they do have to be treated with care to be successful in treatment. Therefore, many foods should be avoided during treatment to keep them in working order and efficient. Ice- Chewing ice is very detrimental and can destroy appliances, and even ice with a softer consistency isn’t safe to chew. Ice can bend wires, break or loosen brackets, and damage palatal expanders, overbite correction appliances, and retainers. Hard food - Hard pretzels, tortilla chips, jerky, pizza crust, uncooked carrots, and nuts can bend wires, break rubber bands, break brackets and tubes, and loosen cement holding the appliance(s) in place. Hard Candy- Hard candy can stick to the appliance(s) and coat the teeth in sugar for prolonged periods. If chewed, it can break or loosen brackets, loosen cement, bend or break wires, damage tubes, and retainers. Sticky candy- Gummies, caramels, taffy and any other candy of this sort can bend wires, loosen cement, break or loosen brackets, and destroy retainers. These candies also surround the teeth with sugar for an extended amount of time. Foods with a high sugar content- Although these foods don’t need to be avoided altogether, cookies, cakes, puddings, and other desserts can linger around the appliance(s) constantly coating the teeth with sugar. It’s best to rinse with water after consuming sweet treats and limit consumption. Foods high in starch- Starchy foods such as pasta, potatoes, bread, popcorn, and cereals are hard to remove from oral appliances because they are sticky when consumed. They get embedded in the appliance(s) and constantly saturate the teeth with sugar. Popcorn kernels also break, bend, and damage mechanisms. Suckers and sour candies- Suckers are terrible for teeth with or without appliances. They last for far too long and attack the teeth with sugar byproducts. They are detrimental to oral appliances because they stick to devices and can cause damage. Sour candies are also horrible for teeth, tissue, and oral devices because they are acidic and can cause deterioration of the teeth. Gum- Gum seems harmless, but it can cause a dental apparatus to malfunction. 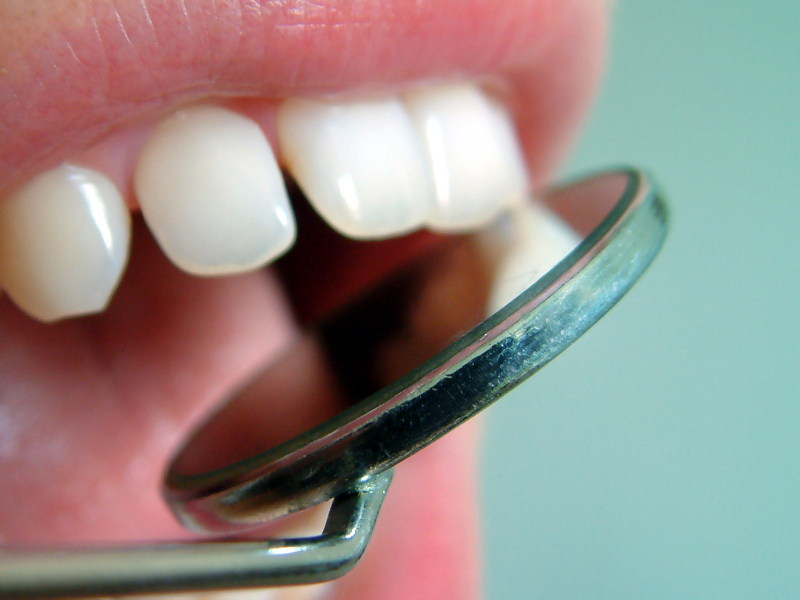 It sticks to everything and gets intertwined with the appliance(s) and can become a place for plaque to hide. Also, gum can bend wires. Assisted hygiene refers to a schedule in which a hygienist operates out of two operatories and sees patients every 30 minutes with the help of a designated assistant. The assistant stays with the hygienist the entire day, and the two switch off between operatories treating patients. The hygienist performs therapeutic scaling, irrigates periodontal pockets, measures gingival and periodontal health and disease (pocketing, recession, bleeding points, and exudate), removes plaque, calculus, and stains, applies antimicrobial agents, provides patient education, and administers other treatment deemed necessary. The assistant seats patients, updates medical histories, takes x-rays, polishes teeth, makes recare appointments, applies fluoride, dismisses patients, and performs other duties within the scope of state law. Many practices operate successfully on an assisted hygiene schedule, but before transitioning, explore why the change may benefit your practice. First, assisted hygiene shouldn’t be used to offset missed or last-minute cancellations. Holes in the hygiene schedule are usually due to problems with patient management. When patients begin de-valuing your services by missing appointments, it’s time to reevaluate how easy it is for them to reschedule. Never be dishonest with patients, but allowing multiple choices after they repeatedly cancel or no-show sets the stage for more of this behavior. There are valid reasons patients miss appointments, but with a chronic offender, it’s best to limit choices for rescheduling. Also, make staying on schedule a priority and don’t make a habit of keeping patients waiting. If patients are kept waiting on a continuous basis, they will no longer respect your time because you’re failing to respect their time. Second, evaluate your patient base. Many generational practices have patients who have been with them for fifty years or more. It may be very difficult to transition from the hygienist spending the entire appointment with the patient to the appointment being split between the hygienist and an assistant. It’s not impossible, but tradition plays a role in this scenario, and certain patients will expect an explanation as to why there’s a new appointment protocol. Patients are accustomed to spending time with an assistant while seeing the dentist, but many don’t expect to see an assistant during their prophylaxis. Third, are you incorporating assisted hygiene to increase hygiene production? Using assisted hygiene to help increase production while practicing as a DMO can be tricky. It’s very difficult to make a decent profit while participating in reduced fees programs. However, increasing production by incorporating a soft tissue management program and stressing more frequent recalls for patients with certain conditions can benefit from assisted hygiene. Also keep in mind that converting to assisted hygiene means that a dedicated assistant for the hygienist is imperative, and more instruments and supplies will be necessary. The most important part of whether assisted hygiene will work in your practice depends on the hygienist and the assistant. Is the hygienist willing and capable of handling such a schedule? Will there be an assistant who is dedicated to the hygienist? A hygiene assistant is different than a dental assistant. The hygiene assistant can’t be “borrowed” to assist the doctor because this type of schedule is extremely tight, and getting off schedule is disastrous. As long as you’re honest with yourself and adopt assisted hygiene for the right reasons, it can be beneficial for your practice. Has your dental practice ever filed a medical claim? While not a common occurrence in dentistry, there are instances where filing a dental claim on a patient's medical insurance is permissible. Furthermore, filing medical insurance can be very helpful to the patient and profitable for your office. Filing a medical claim is nothing like filing a dental claim, and even the most skilled insurance coordinator will have much to learn. There are many seminars on processing medical claims live and online. Your dental rep should be able to locate these resources for you. Basically, four steps are crucial to getting the claim paid quickly. Step one is ensuring that the dentist is properly credentialed. This credential is granted through the Council for Affordable Quality Healthcare (CAQH) and isn’t the same as being a participating provider in a medical insurance company’s network. Step two is filing the claims electronically. Paper claims aren’t permitted which usually isn’t a problem since most offices file electronically anyway. Step three is obtaining preauthorization before proceeding with treatment. In dentistry, preauthorizations can be time-consuming and inaccurate. However, with medical insurance, preauthorizations are often required. There are clearinghouses portals online that make preauthorizations quicker and less of a headache. Step four is using the proper format. Delivery of treatment won’t change, but chart notes and reporting information in the patient’s electronic records will have to be in the correct format. In addition, clinical notes are legal documents and must be written by the doctor and no other team members. The entire dental team should be on board with this process. Although it will be a bit of a learning curve, mastering the art of filing medical claims successfully in the dental office will be beneficial to your patients and your practice. It’s that time of year again! 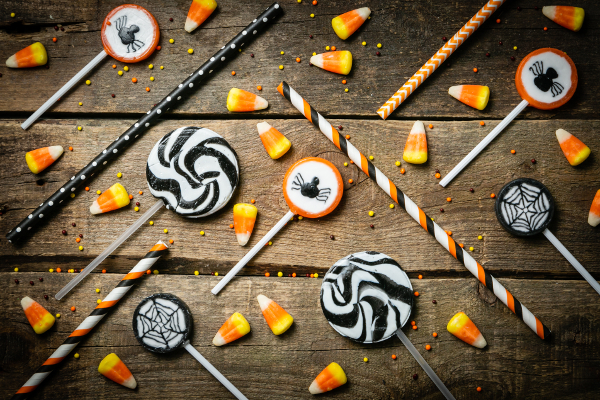 Halloween is coming, and all ghosts and goblins are ready to be inundated with sugar! If eaten in moderation, sugar is harmless barring other health issues. The problem is that it’s very addictive and overindulging can cause health issues. What’s more enticing than a plastic pumpkin filled with all sorts of gooey sweets? How do parents pry the pumpkin full of goodness from their child’s death grip? First, the candy must be surrendered to mom or dad the minute trick-or-treating is over. As difficult as this will be, it’s the only way to get control of the situation. Second, remove all the hard and sour candy. Hard candy continuously bathes the teeth in sugar, and sour candy is very acidic. Eating acidic candy is very detrimental and causes damage to the teeth. It’s far better to chew a piece of softer candy and swallow it quickly. Suckers can last upwards of ten minutes, and that’s far too long to be in the mouth. Third, allow the child a maximum of two pieces of candy per day. One piece in the morning after a healthy breakfast and one piece in the afternoon after school is enough. Let them choose which piece they want to eat because it will show them that they have a choice in the matter. After consuming, have them rinse with plain water. Eating candy coats the teeth with sugar and causes a very acidic environment. Brushing while the mouth is acidic can harm the teeth. Fourth, be diligent with home care. A proper oral hygiene regiment is important throughout the year, but especially during the holidays. Brushing with a fluoridated toothpaste at least twice per day and flossing at least once per day is crucial. It may also be beneficial to add an over-the-counter fluoride rinse for children over five. Consult with a dental professional before beginning any fluoride treatment at home. By using these tips and being firm and consistent, all ghouls will be happy and healthy, and Halloween will be a screaming success! National Dental Hygiene Month is celebrated in October each year and is dedicated to the recognition and celebration of dental hygienists for their position in the dental community and commitment to raising awareness of proper oral hygiene. This year, the focus of dental hygiene month is on the Daily 4 campaign which launched to help incorporate the four daily habits that improve the oral and overall health of the public. The Daily 4 consists of brushing, flossing, rinsing, and chewing. Brushing- Placing the brush at a 45-degree angle to the gums, gently move back and forth in short strokes. Brush all outer surfaces first, then inner surfaces, and the chewing surfaces last. Place the brush vertically to clean the inside of the upper and lower front teeth using up and down strokes. The American Dental Association (ADA) recommends brushing twice per day with a size appropriate soft-bristled brush and fluoridated toothpaste for two minutes. The tongue should also be brushed with a toothbrush or tongue scraper. Flossing- The ADA recommends flossing once per day to eliminate plaque and food debris not removed through brushing. Plaque that’s left on the teeth can mineralize and become a hardened deposit called calculus and requires a dentist or hygienist for removal. The lingering plaque also causes tooth decay. Chewing- Studies have shown that chewing sugarless gum can help with many oral Chewing increases saliva flow which dislodges food and other debris and neutralizes acid. Some gums contain helpful ingredients that fight dry mouth syndrome, demineralization, and other issues. However, if a patient experiences Temporomandibular Disorders (TMD), chewing gum may not be advised. For further information regarding the Daily 4, visit http://www.adha.org/daily4 where you’ll find many resources for your office to celebrate Dental Hygiene Month by encouraging excellent oral health.